Can you believe it, I haven't been to Fat Hippo since their launch in Durham back in May. Shocking I know, but unfortunately my pre-wedding diet doesn't really permit me to have burgers. So I've spent the last few months desperately trying to avoid the Hippo and was doing pretty well ... until they landed right under my nose and I couldn't say no! If you've always had a secret dream to eat a Fat Hippo Burger on a warm Summer's day under the shade of a palm tree then call me your Fairy Godmother because it's about to become true! 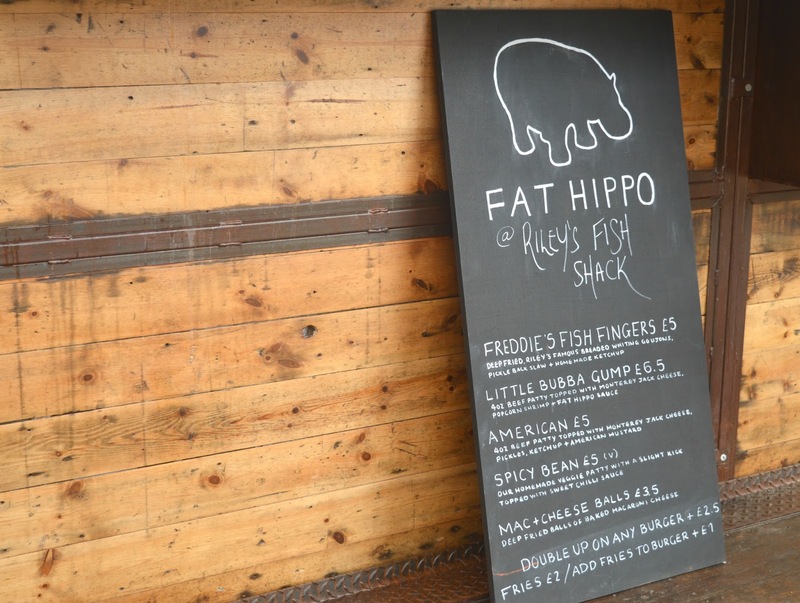 If you hadn't already heard, Fat Hippo have taken over Riley's Fish Shack on the Newcastle Quayside this weekend and will be serving delicious burgers from 11:00 am to 8:00 pm every day until Monday. Well as soon as I heard this news the diet went out of the window! You'll usually find me sitting at my desk at a lunchtime, quietly sobbing into my pathetic homemade salad. So you can understand why it didn't take much to persuade me to eat at Hippo instead. It's not every day the best burgers in the North East land a few steps away from your office. The Hippo's temporary new home is on the Quayside Seaside with rather beautiful views of the Tyne Bridge. 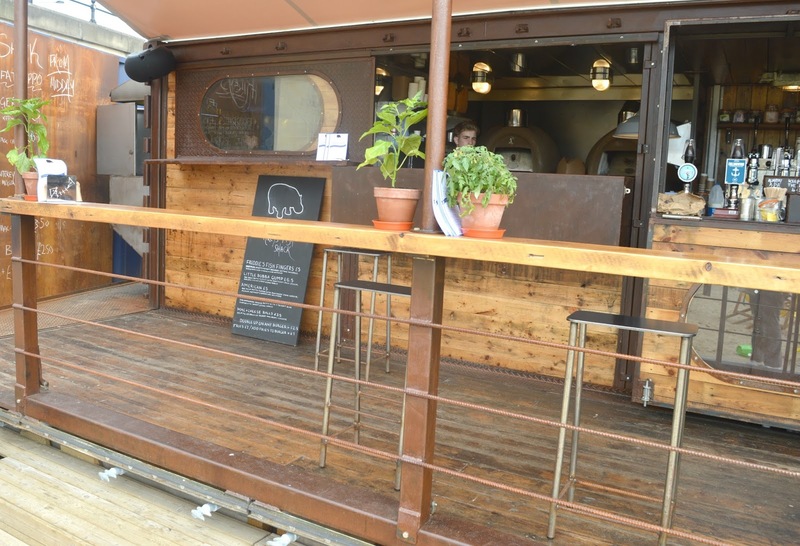 The Shack is such a great place to eat, with a lively atmosphere and an ideal chance to wiggle your toes in the sunshine if the weather is good. Close your eyes and you could almost be on holiday. 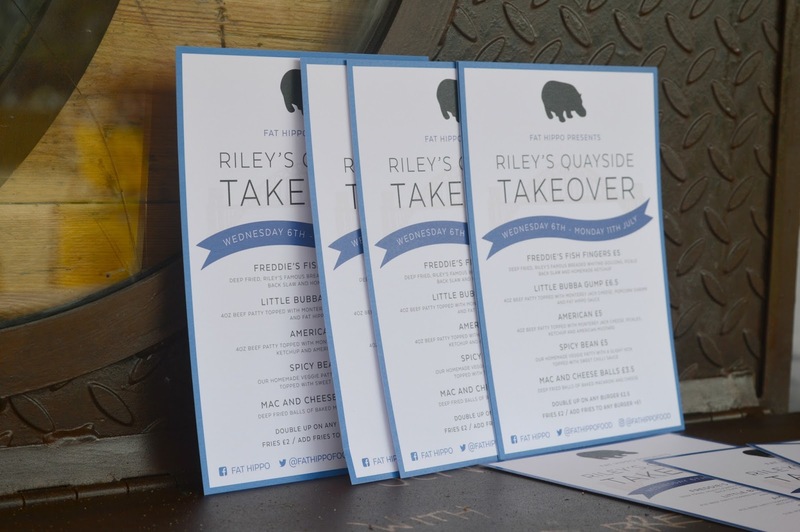 Of course the Riley's Quayside Takeover needs a special menu and Fat Hippo haven't let us down with this one. Take a look, and get ready to start feeling very hungry! So, how do you even start making choices when it comes to a menu like that? You over order of course! Now, Fat Hippo burgers always fill me up to the point where I'm about to pop but the menu at the Quayside is so good I knew I had to push the boat out this time. 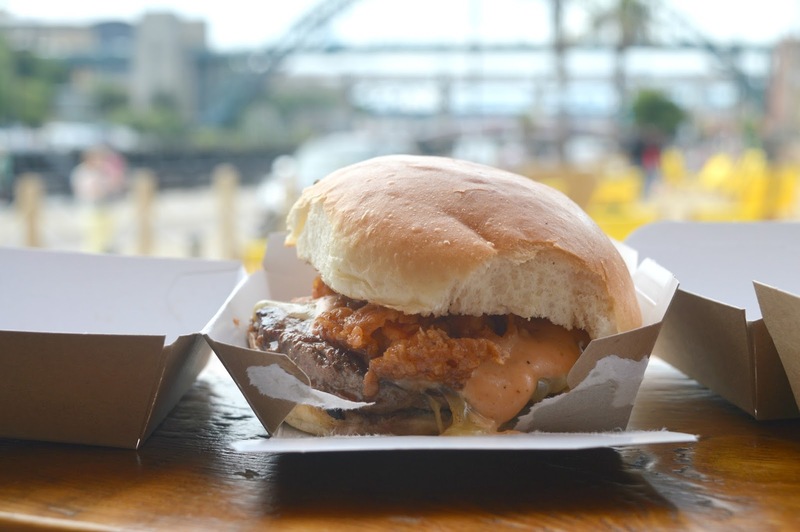 If there's one thing Fat Hippo are great at it's creating a special burger to suit the occasion and the Quayside popup sees the arrival of Little Bubba Gump which I knew I had to order. I didn't stop there, the Mac and Cheese Balls just sounded too amazing not to try. Deep fried balls of baked macaroni and cheese - yes please! I did wonder if I was being a little greedy but I agreed with the lovely lady at Fat Hippo that as I wasn't ordering chips it was completely acceptable! Definitely the right decision! I just wish every lunchtime was as good as this! If you've missed Hippo's popup this time round then don't worry, these guys pop up all over the place and you never quite know where there'll be next. I highly recommend following them on Twitter so you're the first to know what they have up their sleeve next. 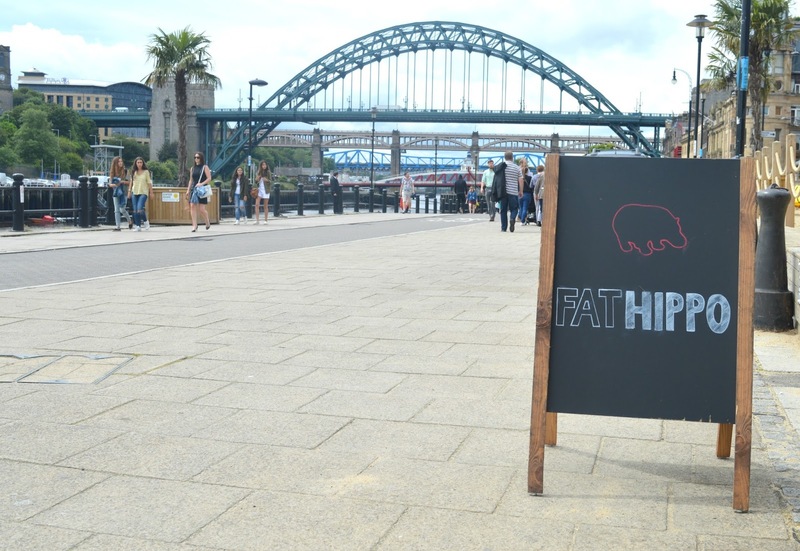 Let me know if you make it to Fat Hippo on the Quayside .. I'm wondering if I can squeeze in another before Monday! OMG so much awesomeness in one lunchtime.... 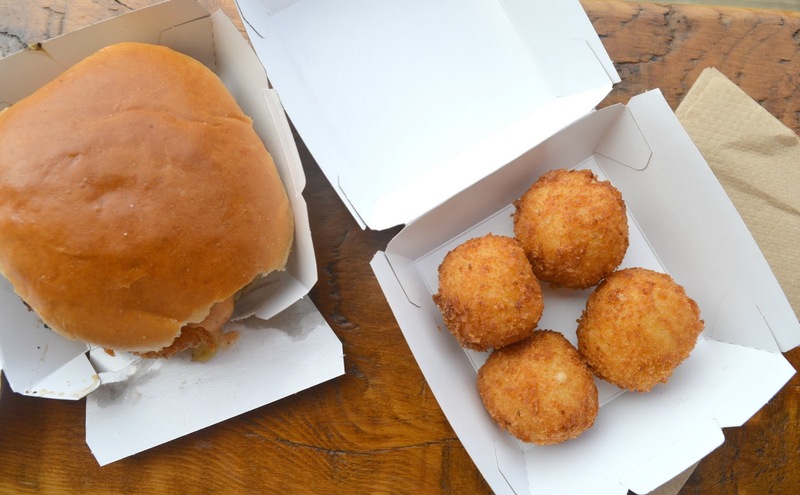 I love the sound of the burger with its popcorn shrimp, and as for those mac and cheese balls... oh my!!!!!! Ah I am so jealous of your lunch! Mac and Cheese Balls look like an amazing addition! I can't visit this weekend sadly but now I need to head to Fat Hippo to fix my craving! Oh my goodness. I love mac and cheese balls (swear Dominos used to do them) so I'm very jealous!